In this letter to Robert Simerwell, Jotham Meeker discusses some of the problems at the Thomas Mission that were due to the scarcity of food. In fact, Meeker explains that the lack of corn forced the missionaries at the Thomas Mission to dismiss their students for a time because they could not properly feed them. Included in this letter is a list of expenses incurred at the Thomas Mission during portions of 1828. 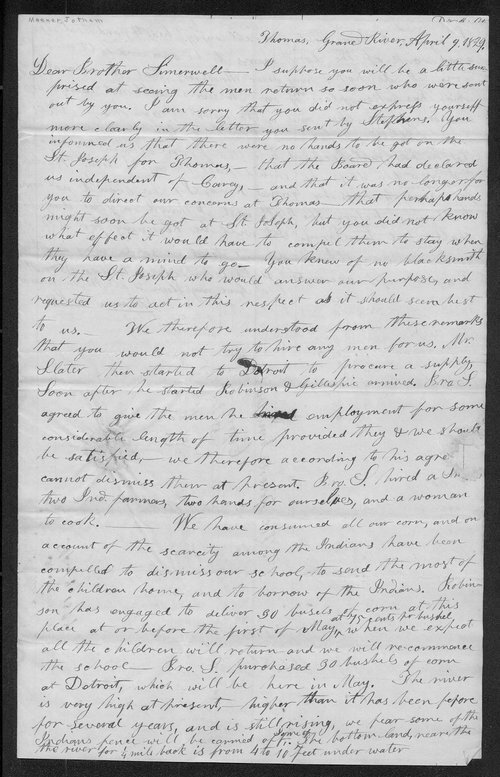 Collections - Manuscript - Simerwell, Robert W.